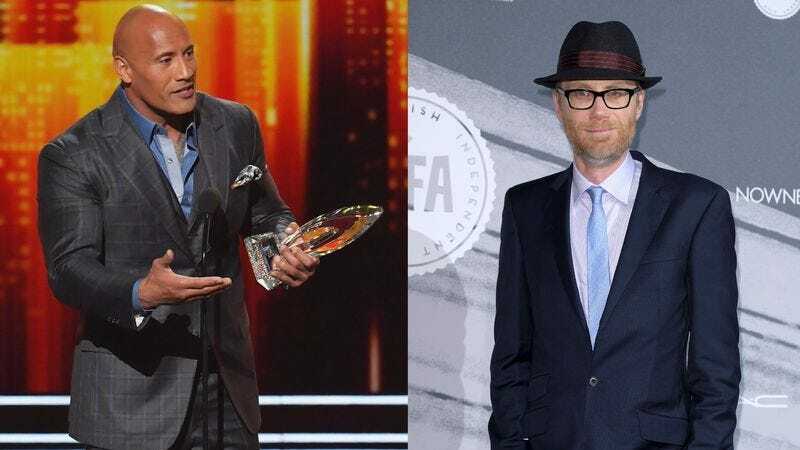 Deadline reports that Dwayne Johnson and The Office’s Stephen Merchant are teaming up for a new dramedy about a British wrestling dynasty. Sadly, Fighting With My Family—based on the life story of WWE star Paige—won’t put the two men on screen together, as some sort of living document of the incredible variability of the human form. Instead, Merchant will write and direct the film, while The Rock will co-star and produce. The movie takes as its inspiration Channel Four’s The Wrestlers: Fighting With My Family, a documentary that tracked the lives of Paige, her parents, and her brother, all of whom work as professional wrestlers to greater or lesser degrees of success. Florence Pugh will play Paige (whose real name is Saraya-Jade Bevis), while Dunkirk’s Jack Lowden will play her brother Zak, who wrestles under the name Zak Zodiac.